What do we mean by tankless water heaters? Before we go ahead to explain, let us bring to your notice that there are various types of water heaters – They are Storage tank water heaters, Gas water heaters, Tankless Water Heaters, Solar Water heaters etc. Tankless water heaters save a lot of energy. To protect your heater and increase its durability installing a water conditioner will help as it will help to remove the mineral contents present in hard water that leaves residue. 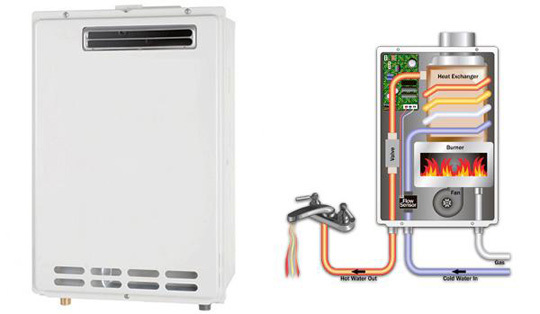 Nowadays, most of the home users opt for tankless water heaters as compared to the conventional storage tank water heaters or any other water heaters for various reasons. A storage tank water heater comes with a huge tank having a water holding capacity of about 50 to 80 gallons. This means that when you install this water heater in your home, your bathroom will occupy a considerable amount of space. Moreover, the water in the tank keeps on heating even when the water is not in use. Solar water heaters might not consume energy at all since the water is heated by the rays of the sun and hence there is no need for additional electric support. But then, solar water heaters are huge in size and the panels of the solar heaters have to be displayed in such a place such as the rooftop or an open area where there is continuous sunlight without any obstacles. No more bulky tanks! Tankless water heaters do not have a storage tank. Just as the name goes ‘tankless’, this water heater comes without a tank. Hot water passes through the pipe and is released whenever a person opens the faucet. Savings on energy bills – The water is heated only when required. Unlike a storage tank model where the water heater heats water even while not in use, here in case of tankless water heater, water will heat only when the faucet is on, until then there is no consumption of energy. Since energy is not consumed, the cost of energy bills every month will be reduced considerably by at least 30%. Longer life – Since there is a constant flow of water unlike storage tanks which hold water for a longer period of time, chances for bacteria to grow in a tankless water heater is very rare. Apart from that, tankless heaters are cost effective, low on maintenance and come with long equipment life which can last for as long as 20 years provided proper maintenance is carried out every 6 months. Tank-less water heaters can be used not just in a bathroom of a house but also for various other purposes such as Pool showers, Hot tubs, Outdoor sinks, Remote bathrooms etc. 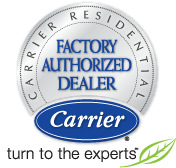 Call us today for a free consultation on tankless water heater. Our service engineers are available all through the year 24 hours a day. You can reach us during morning hours or even during the wee hours of the night in case of an emergency. All Week work round the clock. Installing a tankless water heater you can forget about water heater repair, replacement & installation for quite a long time.